Consistently delivering profitable growth is a challenge for most businesses. The rapidly changing business environment is making it increasingly difficult to keep growth plans on course. If you follow the lead of companies like Amazon that are committed to achieving high levels of organizational agility, you can leverage market changes to fuel growth. 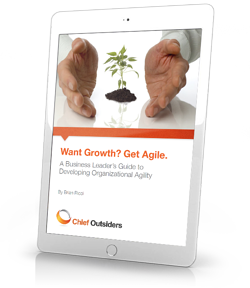 Download this ebook written by Brian Ricci to discover how your company can succeed in a rapidly changing, ambiguous, and turbulent environment.